Your garage door is the largest entryway to your home and it’s important that you keep it well maintained so it works properly. There are a lot of common garage door problems that homeowners face that shouldn’t be ignored. From small mishaps such as a photo eye out of alignment to larger problems such as a garage door not opening at all, you can’t afford to let the problem go unsolved. You and your family’s safety is at risk when your garage door isn’t performing the way it should. We’re here to go over the most common garage door problems and how you can fix them and prevent them from happening in the future. A properly working garage door will be able to sense anything in its path and will stop closing if there’s anything blocking the path. This is a feature on all automatic garage doors that prevents anything or anyone from getting damaged or injured by a closing garage door. The photo eye is found near the bottom of the garage door opening on either side. If your garage door stops sensing things in its path while it’s closing, then the problem is most likely a dirty or misaligned photo eye. To clean your garage door photo eye, simply use a soft cloth and a mild cleaner to wipe away and dirt or debris. Remember to be gentle as the photo eye is similar to a camera lens and you don’t want to damage it. If cleaning the photo eye doesn’t help detect objects while your garage door is closing, it may be because of misalignment. A lot of traffic comes in and out of your garage, so it’s not uncommon for the photo eye to get nudged out of place. You can check the alignment by measuring the height of each photo eye and making sure that they’re both level and facing each other. A laser level can make this process easier, but it’s not required. Something much worse than a blocked photo eye is when your garage door just flat out slams shut when it closes. 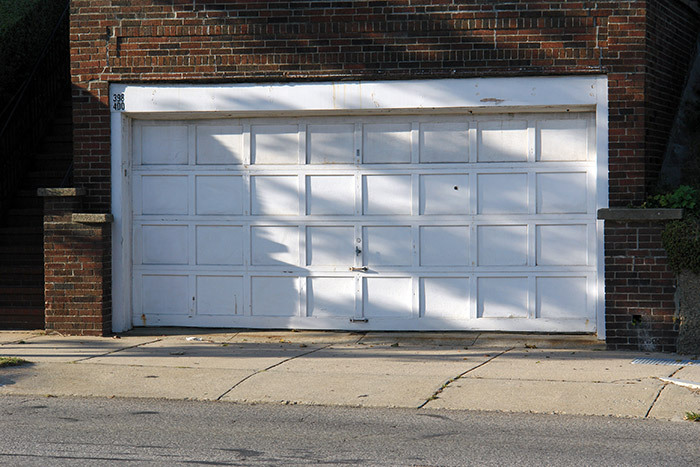 This is obviously a dangerous garage door problem to have because if something gets caught underneath while it’s closing, it can cause major damage or injury. Plus, it makes an annoyingly loud noise when the garage door hits the ground. There are a couple reasons why your garage door may be experiencing this problem. A major cause of a slamming garage door is a damaged or worn out spring or cable. It’s imperative that you get this problem fixed as soon as possible by replacing the springs or cables to avoid any injuries and even damage to your garage door. If you’ve been dealing with this problem for an extended period of time, your garage door may have suffered too much damage to repair and will need to be replaced altogether. In such a case, you can trust Feldco for the best garage door replacement in Green Bay. 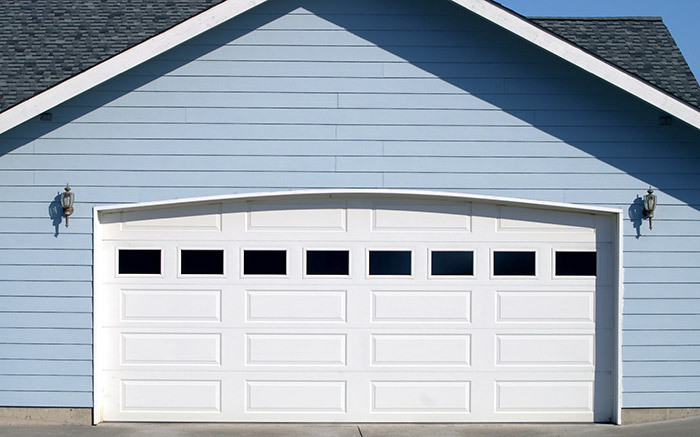 Perhaps the most common garage door problem is when your door sticks while opening and closing. While this isn’t the most detrimental thing to happen, it’s extremely annoying and you shouldn’t have to deal with it every time you want to use your garage. If you’re experiencing a sticking garage door, there are several things that can be causing the problem. However, they’re usually not very hard to diagnose and fix. First, check the rollers and tracks for any dirt and grime. 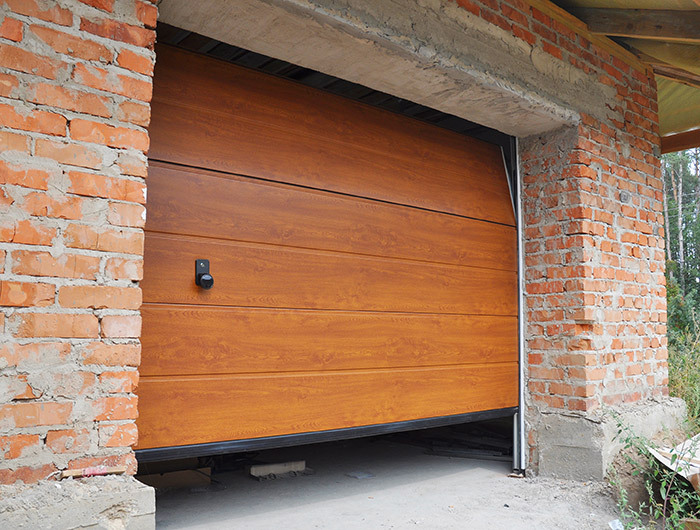 If there’s enough build-up along the tracks, that can be enough to impair the performance of your garage door. A simple cleaning will solve the problem in this case. Another reason why your garage door may be sticking is because the hinges or rollers are simply stuck in their own tracks. Oftentimes, this is because the lubricant has worn off. You can apply WD-40 or another lubricant to get those rollers or hinges unstuck. This usually does the trick. A garage door that’s out of alignment can also be the cause of it sticking. To check the alignment of your garage door, inspect the tracks to see if there are any gaps. If so, loosen them and tap them back into place, make sure they’re level and tighten them back up. If you’re not comfortable doing this, it’s best to leave it to the professionals so you don’t damage the door or hurt yourself. Even though the garage door is the largest opening on your home, many homeowners find that their garage door simply doesn’t work at all. Sometimes, this can be because you’ve neglected your garage door and haven’t touched it in forever. For most homeowners, this isn’t the case so we’ll go over some more common causes below. If you have a motorized garage door opener and it doesn’t move at all anymore, the problem could simply be a dead battery. Replacing the battery will solve this garage door problem. However, if your garage door opener still doesn’t work after replacing the battery, then there are a couple other things you can check. Garage door openers come with a disconnect switch that, when enabled, allows you to use the door manually during a power outage. Your disconnect switch may have been accidentally enabled so switching that off might do the trick. Another cause to this garage door problem could be that your transmitters are damaged. If you’re not completely sure how your opener operates, then it’s best to call a professional to fix the problem. Living in Green Bay, your home is exposed to a lot of extreme weather conditions throughout the year. If your garage door isn’t made of the proper material for the climate you live in, that can cause some major problems, such as your door not opening or closing. For example, a wood garage door is very susceptible to warping and swelling when exposed to moisture and an aluminum one is very easily dented and damaged. Both of these materials won’t be able to last throughout the harsh weather of Green Bay. If you have one of these materials and your garage door isn’t opening or closing, replacing it with a steel garage door will solve everything. Insulated, steel garage doors are designed to withstand extreme weather conditions and work properly year in and year out. You can trust a company like Feldco to replace your old garage door with an energy efficient and durable steel one. Perhaps the most costly of all garage door problems is when your door lets in outside drafts. We say it’s costly because you keep some of your most valuable items in the garage and if they’re not properly protected from the elements, they can become damaged. Plus, if you heat or air condition your garage, you’ll spend more money doing so because you’ll constantly be battling the air coming in from outside. Rooms that share a wall with your garage are effected too. Replacing the weatherstripping sometimes solves a drafty garage door. However, if your garage door is old and beaten up, the best option is replacement. Sometimes, fixing your garage door problems only puts a bandaid on the whole issue. It’s kind of like patching a tire instead of replacing it – eventually you’ll need to actually put a new tire on. For your garage door, if it’s worn out, making loud noises and hard to operate, the only true solution is to replace it with a new one. Steel insulated garage doors from Feldco are built to last and are installed by certified and factory trained professionals. It’s no wonder why over 350,000 homeowners have trusted us with their home improvement projects. Get a free quote now for your new garage door in Green Bay.